April may be the cruelest month for T.S. Eliot, but for Maldives scuba diving it’s absolute bliss – while conditions are good almost all year round, in April there’s a certain quality of light and a certain clarity to the water that makes it particularly special. 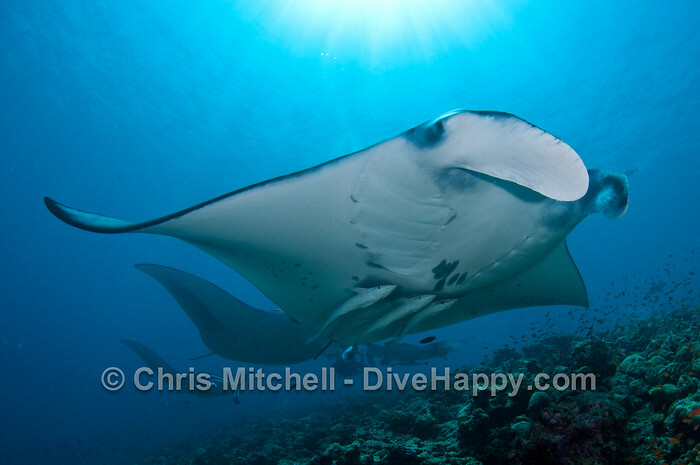 The Maldives is famous as one of the few places in the world where you can have almost guaranteed encounters with manta rays, and South Ari atoll’s Rangali reef is one of the most spectacular manta hotspots. 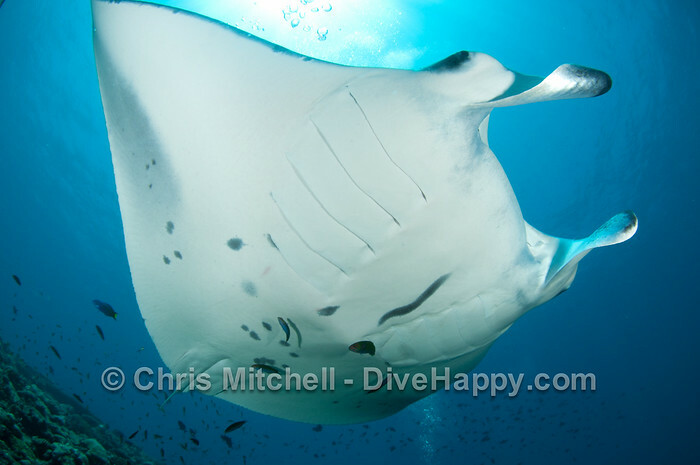 But there’s little to prepare you for four mantas swooping in and circling around their cleaning station at Rangali Madivaru, wholly unbothered by a couple of divers flattening themselves on the rocks below them to be as unobstrusive as possible and so only a few inches from being touched by the tips of a manta’s wing. 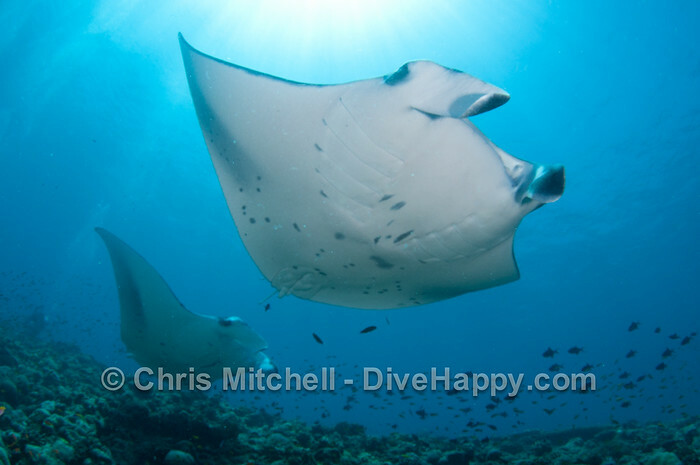 Rangali Madivaru is an almost-certain stop on any Maldives liveaboard trip as it’s a reknown manta cleaning station, located in relatively shallow water at 8 to 20 metres. There are several cleaning stations along the long, steep sloped reef, and it’s possible to move between two or three stations in a single dive to stay ahead of other divers if you’re feeling fit. On this dive, circumstances conspired to be perfect. My dive buddy Jez and I slipped into the water a few minutes before everyone else on our dhoni from the MV Carpe Vita was ready – the shallow reef stretched out beneath us with no current and astounding visibility of 40 metres, drenched in light from the mid-morning sun. 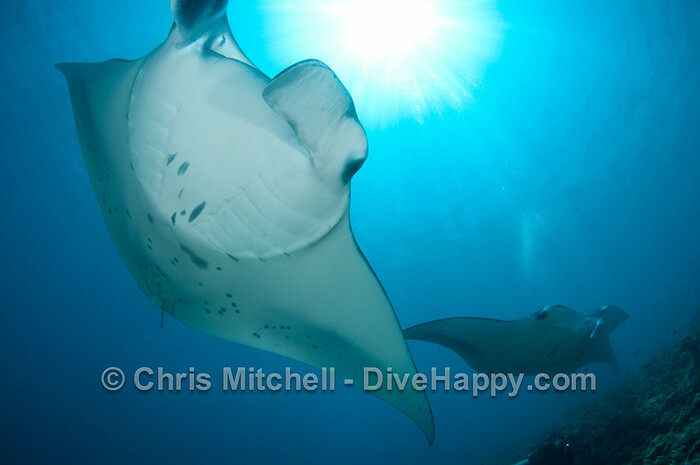 We’d both been here before and knew what a popular spot it is for Maldives liveaboards and resorts alike (like the uber-luxury Conrad Rengali)- to be on the reef alone was beautiful, especially as it wasn’t long before the first, very large, manta ray came gliding in to greet us. 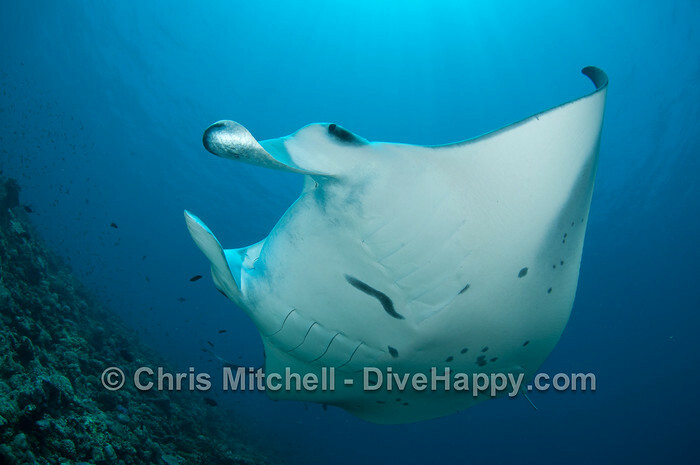 Around 3 metres from wingtip to wingtip, this manta showed no fear – actually, no interest at all – in two divers skulking around his territory. 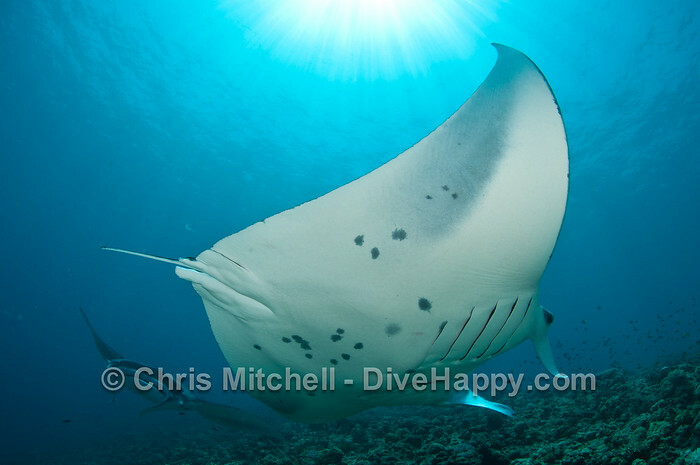 Thanks to the relatively shallow depth – around 10 metres at the top of the reef – we were able to stay with the mantas for a good half hour, and they remained in place even as several boatloads more divers arrived on the scene. By that point Jez and I had drifted down the reef to another cleaning station, and a couple of the mantas seemingly followed us a few minutes later. 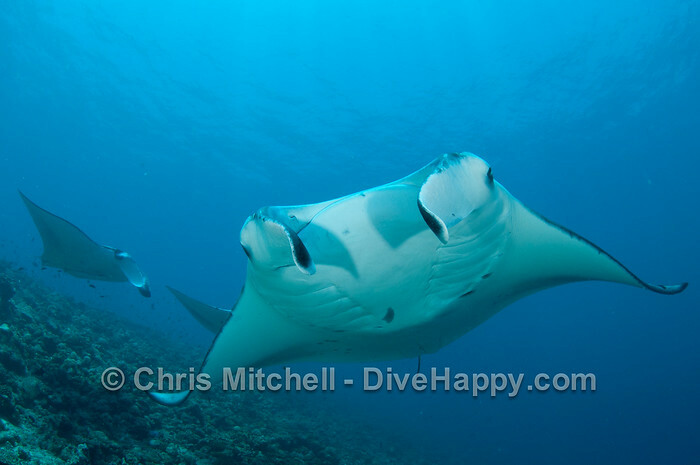 I’ve seen mantas in Thailand, Indonesia, Palau and the Philippines, but the Maldives provides the perfect conditions for not only seeing them but spending time watching their amazing presence in the water.